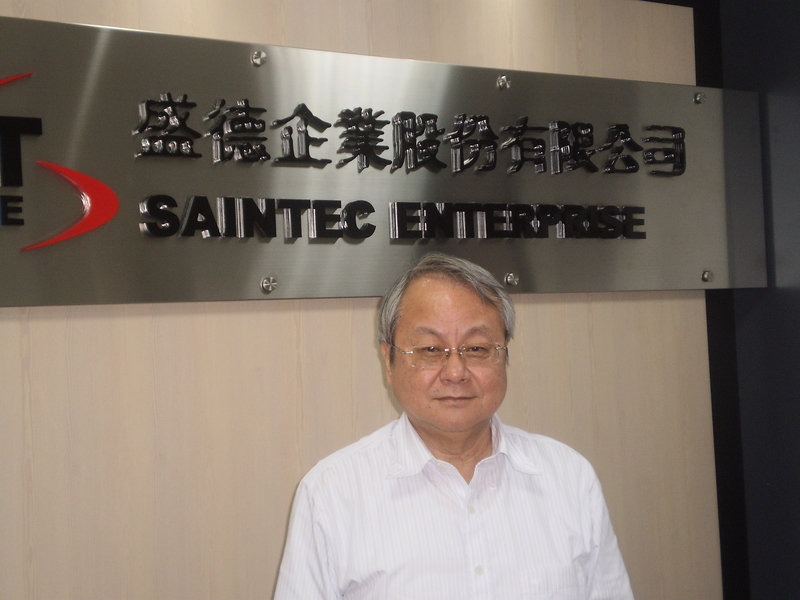 Joe Chen may be entering his last year as the chairman of Taiwan Industrial Fasteners Institute (TIFI), but the industry captain, also president of fastener supplier Saintec Enterprise Co., Ltd., is still going full-speed to boost Taiwan's competitiveness in the global market. 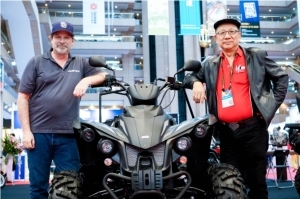 Under his leadership, the third Taiwan International Fastener Show (TIFS) is set to hold its biggest-ever show on April 14 to 15 this year. Chen's vision for a show to boost the global profile of Taiwan's fastener industry was realized with the launch of TIFS in 2010. With support from TIFI members, the government and other organizations, the first show attracted 17,000 local and foreign visitors and was a resounding success. 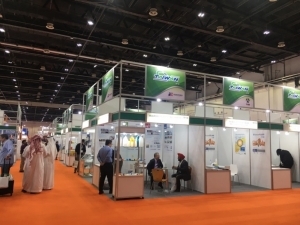 The biennial show is now believed to be the world's third-largest fastener trade fair by booth number, and perhaps the biggest such show in Asia as well. It is safe to say that Chen is the unsung hero behind TIFS' success. Heedless of detractors, he stood his ground and worked hard to muster TIFI's forces and host Taiwan's only international fastener trade fair. Joe Chen has earned accolades for his contributions to the development of Taiwan's fastener industry over the past six years as chairman of TIFI. In an exclusive interview with CENS, Chen said, "While TIFS has received accolades from participants for its various attractive features, many people have complained about the shortage of space at the past two shows. 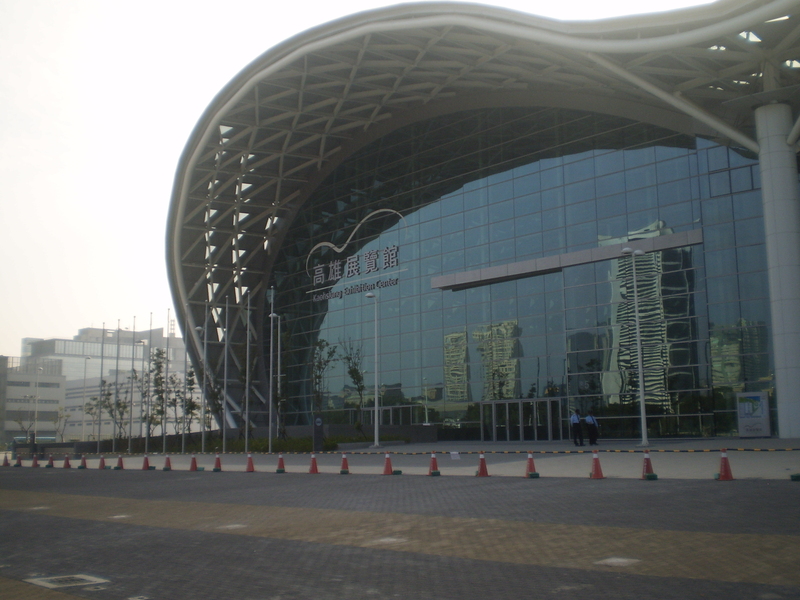 To address that, we spent a lot of time negotiating with the Kaohsiung City Government to host the show at the brand new Kaohsiung Exhibition Center (KEC). They finally agreed. So, this year's TIFS will provide over 800 booths and have more floor space than ever." Also notable is that TIFS will be the first exhibition to open at the KEC, whose ultra-modern facilities are sure to satisfy demanding exhibitors and visitors. The 3rd TIFS will take place in the KEC on April 14-15, 2014, as the first trade fair in the brand new exhibition facility. Chen added that TIFS 2014 would be co-timed with the Five Region Fastener Association Conference. 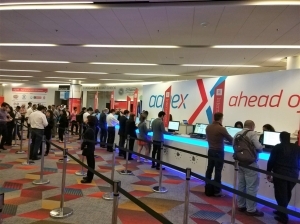 "The conference is hosted alternately in China, Hong Kong, Taiwan, Korea and Japan annually and brings together industry professionals, experts and scholars from across East Asia. As part of TIFS 2014, this year's conference will help to further the exhibition's global influence," he said. Chen said that the Taiwan External Trade Development Council (TAITRA), a semi-official export promoter, who organizes TIFS and Taipei International Auto Parts & Accessories Show (Taipei AMPA), has arranged the two shows to run consecutively from April 9-12 (Taipei AMPA) through April 14-15 (TIFS). "This consecutive arrangement is expected to attract more international visitors to attend TIFS after AMPA this year," said the chairman. 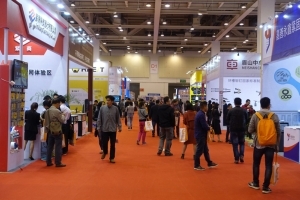 Summing up the factors in TIFS' success, Chen emphasized, "The exhibition has been particularly noted for not just presenting a full range of fasteners, materials and machines, but also for providing international buyers with easier access to the industry through the choice of venue in Kaohsiung. Kaohsiung is home to over 80% of Taiwan's fastener manufacturers and related subcontractor clusters, making it easy to arrange factory tours"
Nearly all of the 800 standard booths offered by TIFS 2014 in the KEC have been sold out, encouraging Chen to predict that the show will this year become world's third-largest fastener trade fair, further increasing its influence in the industry, benefiting industry insiders and polishing Kaohsiung's global image. "We are optimistic that the third TIFS will present global buyers with a clearer picture of Taiwan's fastener industry, which has been remarked for high production flexibility, efficient industrial clustering," the chairman commented. The past several years have seen a number of plans to establish industry museums in Taiwan to boost economic and cultural connections between their sectors and the cities in which the industries are clustered. Most of these ambitions have failed due to financial limits and regulatory restrictions. Chen, however, realized such a plan with the opening of the Taiwan Fastener Museum on January 26, 2014 in Gangshan District, Kaohsiung. The museum is the product of several years of planning and work, Chen says. 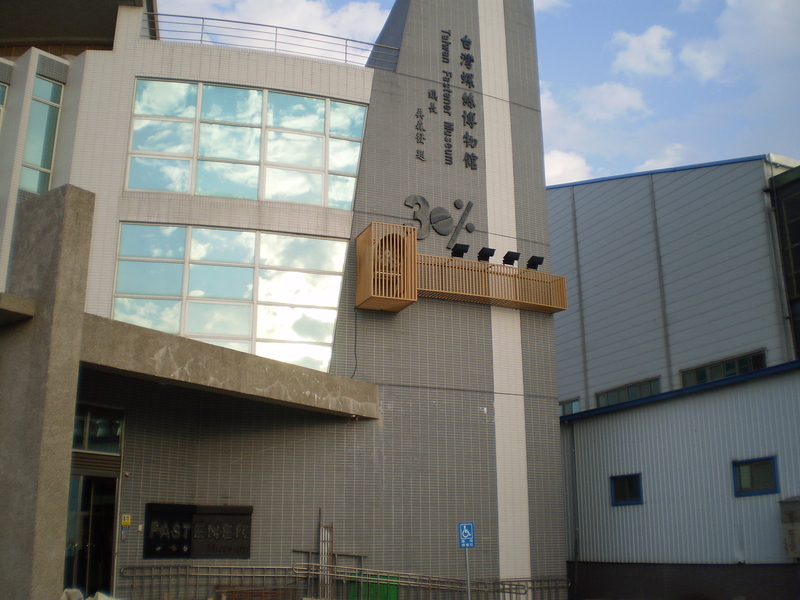 Taiwan Fastener Museum was officially inaugurated on January 26, 2014. Chen invited a CENS' reporter to visit the museum in 2011 when it was still under construction. At that time, he noted that TIFI and China Steel invested NT$30 million and NT$10 million, respectively, in the project. The resulting three-story museum has a colorful, futuristic interior design and creative landscaping. 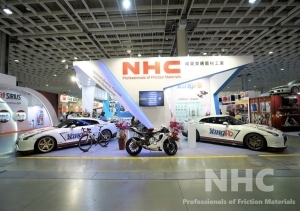 Various fasteners are displayed to highlight the cutting-edge capabilities of Taiwanese fastener makers, while wall posters illustrate the history of the industry, as well as the functions and characteristics of different kinds of fastener. In fact, Taiwan's first fastener museum should have opened in 2011, but the plan was delayed by financing and regulatory hurdles. Chen had to convince regulators and investors that the plan wouldn't be a money burner, but rather an industry growth driver with sustainable, independent financial sources to support its long-term operations. "The museum will provide 67 regular booths for fastener companies to showcase their products for a year. About 60 of these booths have been rented to secure the museum's fiscal sustainability in the coming year," he said. The museum office will also provide supplier information to buyers who are interested in the fasteners on display." Chen said that TIFI expects to make the museum not just informative, recreational, and educational, but also an economically feasible permanent business platform to generate positive feedback for the development of both the local economy and sector. By inaugurating TIFS and the museum despite continuing obstacles, most agree that the farsighted and persistent chairman has been writing a new chapter in the industry's history. 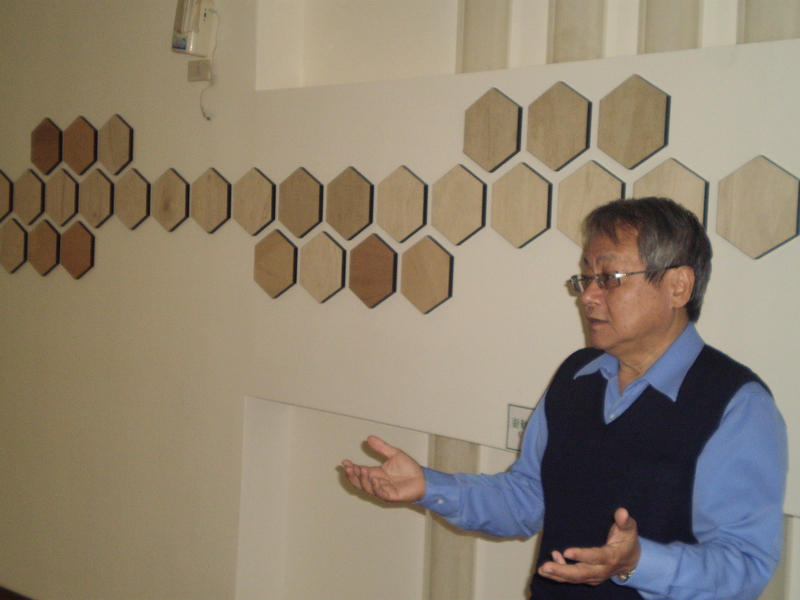 Joe Chen introduced the Taiwan Fastener Museum's design during an exclusive CENS interview in 2011. Chen also commented on development of Taiwan's fastener industry in the face of rising competition. Chen noted that emerging countries, including Indonesia, India, Brazil and Turkey, are promoting fastener production under industrial development policies, posing an increasing threat to Taiwanese manufacturers. This trend makes sense, Chen said, as fasteners are key industrial parts and a sound fastener supply chain can help a country step up industrial development. "Taiwanese manufacturers are likely to be replaced by emerging rivals from those countries in the near future, given that fastener production is now regarded as a focus industry there," said Chen. "To survive the competition, Taiwanese makers should work harder not only on securing orders from developed markets like the U.S., Japan and Germany, but also on boosting R&D." Chen went on to say that in the fastener sector, R&D doesn't mean developing unique products, but rather having the ability to materialize customer drawings and special requirements as real products with consistent quality. "As ubiquitous information technology makes the global market increasingly transparent, ever more international buyers are prone to outsource directly from manufacturers instead of through traders," indicated Chen. "By doing so, buyers can ensure more reliable product traceability and lower defect rates, while better meeting their special requirements." To adapt to this transition, Taiwanese manufacturers have to sharpen their OEM (original equipment manufacturing) capabilities from prototyping and mold developing to production techniques through production and service management, Chen stressed. "Taiwan's fastener industry has built a strong manufacturing reputation among global buyers over the past decades," said the chairman. But, to develop sustainably in the next decade, he added, "Developing the ability to secure consistently high quality in mass production is vital for Taiwanese makers. That is also the way they can differentiate themselves from emerging rivals." 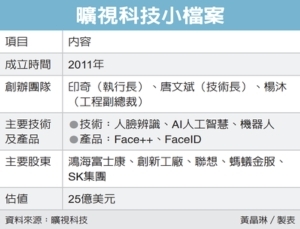 To this end, TIFI has been working with the National Kaohsiung University of Applied Science (KUAS) and China Steel Corp. (CSC) to construct a database of material properties and develop CAE (computer-aided engineering) software for mold development since the second half of 2013, Chen said. The project aims to help industry insiders leverage their manufacturing advantages. "Developing good molds is a key turning out new fasteners that customers haven't seen before because qualitative consistency is highly related to molds," Chen observed. 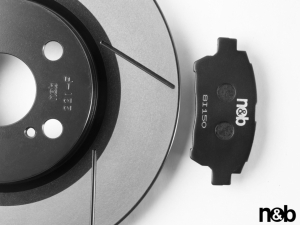 Poorly designed molds can easily deform after a period of use due to failure to consider the physical factors of applied materials in both molds and products. 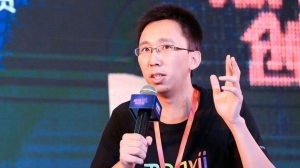 Chen said that TIFI therefore aims to build an extensive, large database and develop compatible CAE software in cooperation with KUAS and CSC over a three-year period to help manufacturers address this common problem. Chen also noted that mold engineering and filling simulation require in-depth knowledge of the physical properties of materials and complicated analysis of factors, such as stress and mold flow. Related coefficients applied in simulations also have to be adjusted for different types of material. "Creating an effective database and software that make sure reality can be truly simulated is a tougher-than-expected job." "TIFI chose to partner with KUAS and CSC on this project because the former is one of Taiwan's only a few universities with a mold engineering department, while CSC is Taiwan's largest steelmaker and upstream material supplier for the fastener sector," said Chen. "We look to take advantage of their resources and experience to get the job done, as well as to incubate CAE talent for the sector and help local producers build stronger CAE capability for mold development." While application of fasteners continuously expanding into medical instruments, 3C devices and other high-precision products, Chen predicted that the global car market will remain the strongest growth propeller for Taiwanese makers. In fact, a small number of Taiwanese fastener manufacturers have actively ventured into the segments for aerospace fasteners and artificial tooth roots as strategies for sustainable profits in recent years. However, Chen said, the reality is that sales of such high-precision fasteners contribute little to the industry's growth, partly because the supply of advanced materials needed is hard to secure and partly because those markets are generally closed. "To boil down the problem," Chen said, "market size is the key point. The market must be big enough to accommodate new players. Unfortunately, those [mentioned] markets are not large enough currently and are mostly closed." From another viewpoint, the chairman added, customers in those closed markets, such as aircraft, generally tend not to take the risk of adopting fasteners from new suppliers: a situation that has locked Taiwanese suppliers out of the lucrative market. Chen is far more optimistic about the market for auto fasteners. 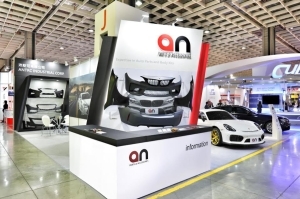 "Over the past years, market demand for cars has steadily grown worldwide, especially in China, where annual sales exceed 20 million units," said Chen. 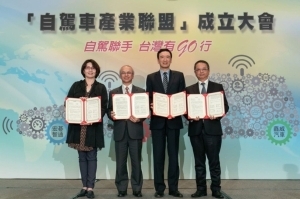 "This has significantly benefited Taiwan's fastener industry on the export side." The chairman believes that the market segment is full of opportunities for Taiwanese fastener suppliers. "Customer demand in the segment for nonstandard fasteners is huge and strong. These are the kinds of products that Taiwanese makers are particularly well versed at making." The world's major car producing countries are therefore ideal markets for Taiwanese manufacturers, according to Chen. 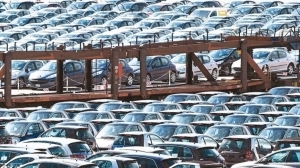 "For instance, Japan uses 2.8 million tons of fasteners annually, with automotive applications accounting for a significant share of the total," he said. While imports account for only 7-8% of the total volume, few would question that Japan is a lucrative market that can not just sustain the industry's export growth, but also help to drive overall production value. 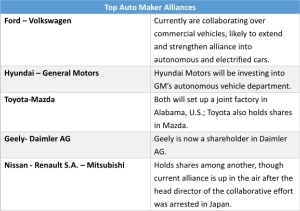 Therefore, Chen suggested that Taiwanese makers expand shipments to carmakers in Japan and other countries as a basis for sustainable development in the years ahead.